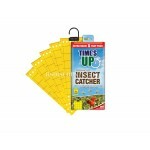 TVS001 DETHLAC INSECTICIDAL LACQUER - 250ml Kills ants, woodlice, cockroaches and other crawling insects Can be applied to any firm non-absorbent surfaces Dries to a hard clear film which kills insects within a few hours of coming into contact treated surface One application ..
FA106 Rentokil Moth Killer Strips Twin Pack Moth Killer Strips Twin Pack Protects cloths & bedding from damage by moths, their larvae & eggs. Long Life - effective for 6 months & odourless. For use in wardrobes, chests, drawers and suitcases. 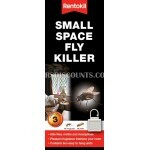 ..
FF78 Rentokil Small Space Fly Control Hanging Unit Small space fly control Pack of 2 Fly Control - Hanging Unit is suitable to hang in small spaces. 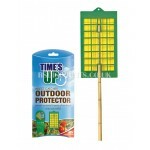 Each unit will protect an area of up to 6 cubic metres Kills flies, moths and mosquitoes. Each unit lasts up to 90 days. 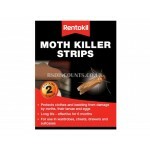 Ac..
FM92 Rentokil MOTH KILLER Hanging Unit Moth Killer Hanging Unit Twin Pack. 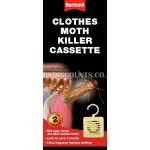 Protects cloths & articles from damage by moths, larvae & eggs. Lasts up to 6 months. Odourless & non staining. 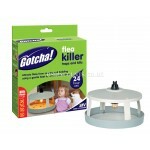 Contains two units to hang in wardrobes & cupboards. 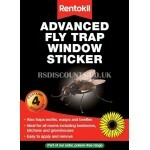 ..
FW100 Rentokil FLY Trap Window Sticker Pk4 Sunflower design Pack of 4 Insecticide free Ideal for all rooms including bedrooms, kitchens,caravans, greenhouses etc. 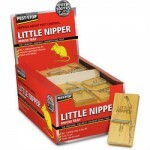 Kinder to the environment & you ..
PSLNM 2 x Little Nipper Mouse Traps UK's No1 The Original Little Nipper Mouse Trap Powerful and highly effective Quick and humane 2 x Individual Mouse Traps Only (Image for illustrations purposes only) ..
Rentokil FLY KILLER CASSETTE Moths Wasps Mosquitoes Gnats Fly Killer Cassette The cassette protects up to 30 cubic metres of space, which is ideal for small rooms. 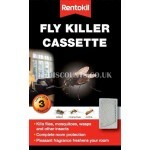 Fragranced cassette designed to kill flies, moths, wasps, gnats, mosquitoes and other flying insects in the home. 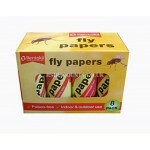 Last..
RFPP8 Rentokil Fly Papers Pack of 8 FLY PAPERS Pack of 8 Insecticide free Use in the home,stables, barns,sheds,caravans, tents etc. 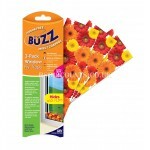 ..
STV012 STV Window Fly Trap - 3 PACK THE BUZZ Angle-trap design collects dead flies and flying insects and hides them from sight Fits neatly into window corners or other problem areas Easy set-up, with long lasting adhesive that keeps working up to 4 months Exclusive gerbera design ..
STV013 STV Insect Catcher Outdoor Protector DEFENDERS Protects and allows outdoor use of STV017  Greenhouse Insect Catcher Traps Prevents accidental trapping of non-target birds and wildlife Easy to assemble, snap shut cover and opening at back of product for insertion of cane (no..
STV017 STV Greenhouse Insect Catcher 5 Pack TIME'S UP Irresistible aureola-yellow traps attract and kills greenhouse insect pests Value-for-money pack with easy-peel backing for clean assembly Biodegradable material suitable for organic gardening UV light resistant glue lasts..
STV020 STV Flea Killer GOTCHA FLEA KILLER 7 Watt heat lamp mimics warm-blooded animals to attract fleas from bedding and carpets over a 10 metre radius Sticky pad (3 included) acts as an early indicator of flea infestation Constant monitor and control of flea problems in home environ..